Hotel occupancy in Delhi and Pune crossed 70 per cent, according to a latest report by Horwath on ‘India Hotel Market Review 2018’. Delhi has grabbed the opportunity presented by GST replacing a usurious luxury tax with both hands, the report says. It performed well in all the parameters with occupancy rising to 71.7 per cent, ADRs at 7.5 per cent and RevPAR at 11.6 per cent. 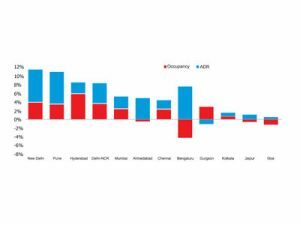 Aerocity hotels have fully dialled in – rooms demand, ADR and banqueting. Corporate, MiCE and retail business which chose Gurugram over Delhi because of major tax savings under Luxury tax have shown preference for Delhi once an even playing field was created. Aerocity itself has expanded its commercial spaces. Pune, too, had a good year in 2018, crossing 70 per cent occupancy and pushing through over 7 per cent ADR growth to post 11 per cent RevPAR increase. A solid Tier 1 business city, Pune’s growth can be attributed to MiCE and partly to the shift of some IPL games to this city. 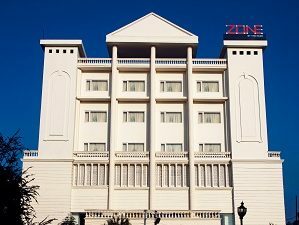 Cygnett Hotels & Resorts has launched its new property, Cygnett Inn Trendz, in heart of capital city, Itanagar of Arunachal Pradesh. Constructed in a modern contemporary design, the premium Inn offers spacious and stylishly designed rooms with all modern amenities including a well equipped gym, swimming pool and spa. The Inn offers a variety of dining option with Cygnett Pavilion, an all day dining restaurant. For children, the inn offers a swanky game zone that is fully equipped to ensure that the little ones cherish their play time. Cygnett Inn Trendz also offers conferencing and banqueting services. The Inn promises to serve both corporate events and social celebrations. The premium location allows guests to visit the commercial hubs and entertainment zones of Itanagar without travelling for long distances. 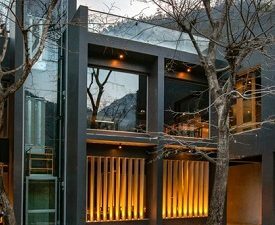 sbe, a leading international hospitality group that develops, manages and operates global hospitality brands has announced the launch of its new luxury global brand, The House of Originals in partnership with Accor. The House of Originals is a luxury collection of properties from sbe featuring a bold spirit that challenges and inspires. sbe has launched this new hotel brand collection which will include the Sanderson and St. Martins Lane in London, 10 Karakoy in Istanbul, and the Shore Club in Miami Beach. The House of Originals combines the best of what sbe has to offer. 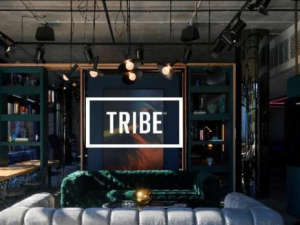 This new brand will create a community for its guests, predicated on luxury experiences and cantered around sbe’s iconic culinary and mixology offerings. Further, the support of sbe’s partner, Accor, will be critical in establishing the brand internationally by offering sbe’s customers and partners access to an unparalleled global distribution and procurement infrastructure. 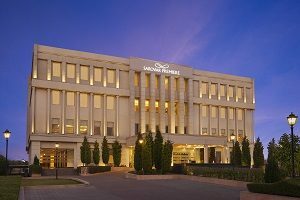 Seyfert Sarovar Portico has been rebranded as Seyfert Sarovar Premiere, Dehradun. The property has undergone extensive refurbishment from adding extra facilities to upgrading the existing services. The added features incorporate Indian specialty restaurant- Aanch, spa and up-gradation of amenities and its 68 rooms. The hotel is conveniently located close to Dehradun Airport, bus stand and railway station providing easy access to tourist and numerous pilgrimage destinations in the upper and lower hills of Himalayas. Commenting on the development, Anil Madhok, Executive Chairman, Sarovar Hotels & Resorts, said “The decision of rebranding the hotel reflects company’s continues efforts to push for higher standard while driving business growth for the company. The rebranding will bring fresh perspective to the hotel, sturdier base and will offer services at affordable prices for business and leisure traveller alike”. 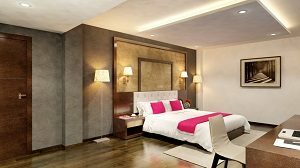 Roseate Hotels & Resorts has unveiled The Roseate Ganges, a luxury retreat on the banks of the river Ganges in Rishikesh. “The opening of The Roseate Ganges is a significant milestone in our expansion and is the only retreat in the region to offer an exceptionally luxurious stay experience. 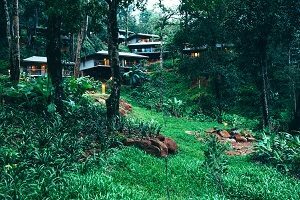 We now offer a collection of six unparalleled stay experiences around the globe,” said Kush Kapoor, Area General Manager, Roseate Hotels & Resorts. “We are confident that guests at The Roseate Ganges will appreciate the retreat and bespoke services offered, becoming a focal point to explore and experience,” added Kapoor. 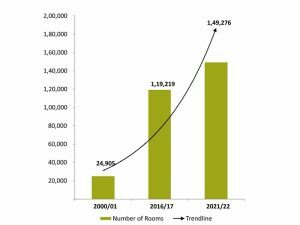 An HVS report titled ‘Hotels in India: Trends and Opportunities’ forecasts over 30,000 branded hotel rooms to be developed in the country over the next three years, taking the total anticipated branded supply to 1,49,276 rooms by 2021-22. The highest percentages of supply actively under development are in Chennai (94 per cent), followed by Hyderabad (89 per cent) and Bengaluru (72 per cent). The mid market segment continues to dominate the new supply pipeline accounting for 44.1 per cent of the proposed rooms. The Ritz-Carlton Hotel Company, signed a long-term management agreement with Panchshil Corporate Park to launch The Ritz-Carlton, Pune, expected to open in 2019 with 198 rooms. The company also announced The Ritz-Carlton, Mumbai, which slated to debut in 2020 with 238 rooms. Its debut will mark the brand’s second property in India and is one of three Ritz-Carlton hotels in the pipeline for the country. 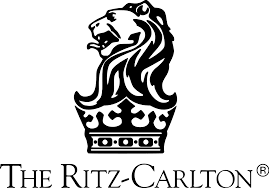 The Ritz-Carlton brand entered India in 2013 with the launch of The Ritz-Carlton, Bangalore.